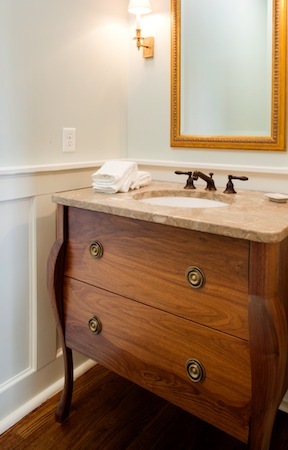 Our client for these vanity pieces really enjoyed the classic furniture pieces that she had grown up with. Her grandfather had been a furniture maker that sculpted beautiful pieces from scratch. She had fond memories of the walnut pieces that he had built over the years. 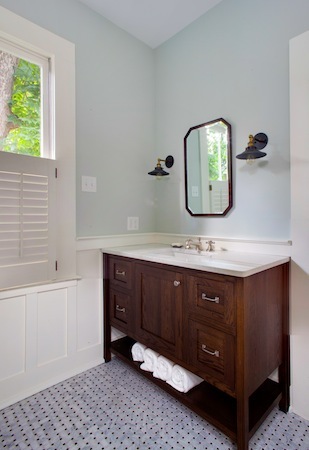 These memories for her, formed our inspiration for both the powder bath & kids bathroom cabinets.